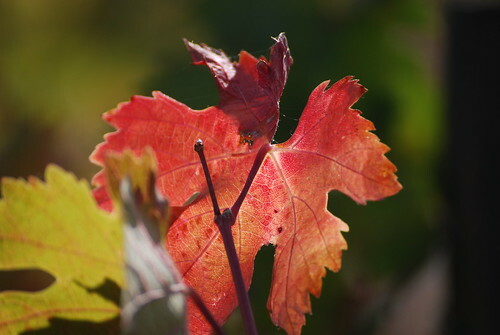 Autumn in the wine country is a time of quiet, after the bustle of harvest and the initial pressing. The wine is starting the slow process of fermentation, and the next bottling is still some months away. The tourists have fled for warmer climes, and the roads are empty and quiet. The slow turning of the season is lit by the glowing leaves of the vines, red in the low sun.